The 2019 In Residence on Broadway series presents Regina Spektor: Live on Broadway at the Lunt-Fontanne Theatre. Regina Spektor was born in the Soviet Union, and first rose to fame with her gold-certified LP Begin to Hope which includes hit singles “On the Radio,” “Better,” and “Fidelity.” She also enjoyed great commericial success with her fifth album, Far (2009), and sixth album, What We Saw From the Cheap Seats (2012), which both debuted at number three on the Billboard 200 albums chart. Theatre fans may also know Spektor from her work on the Hamilton Mixtape, appearing on the remix track of "Dear Theodosia," whilst television audiences might recognise her voice from her theme song for Orange is the New Black on Netflix, entitled "You've Got Time". 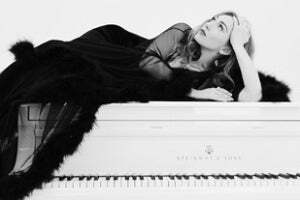 Critically acclaimed singer-songwriter Regina Spektor makes her Broadway debut with a string of intimate concerts as part of the 2019 In Residence on Broadway series at the Lunt-Fontanne Theatre. The list of artists participating in the 2019 In Residence on Broadway series at the Lunt-Fontanne Theatre continues to grow as acclaimed singer-songwriter Regina Spektor has been added to the line-up and is set to make her Broadway debut with five intimate concerts from June 20 through to June 26, 2019.